← Should I Spend Donuts on June Bellamy and the UPA Talent Agency? Just letting you know that the Pride week content has now hit our stores. The Gil Deal will be available until June 26th and the Mystery Box will be around until the event ends on July 11th. I’ll break down the full details of everything (likely tomorrow) with SIB posts, but this post is just meant to let you know the content is there and what the basics are..
What’s he offering this time? So what else besides a Gil Gimmick? Well, a new Mystery Box has come to town as well! Remember if you own everything you won’t see the box. And I’ll have the usual Mystery Box breakdown/details post up, likely, tomorrow. Will you be buying anything? Waiting for the SIB posts? Sound off below. 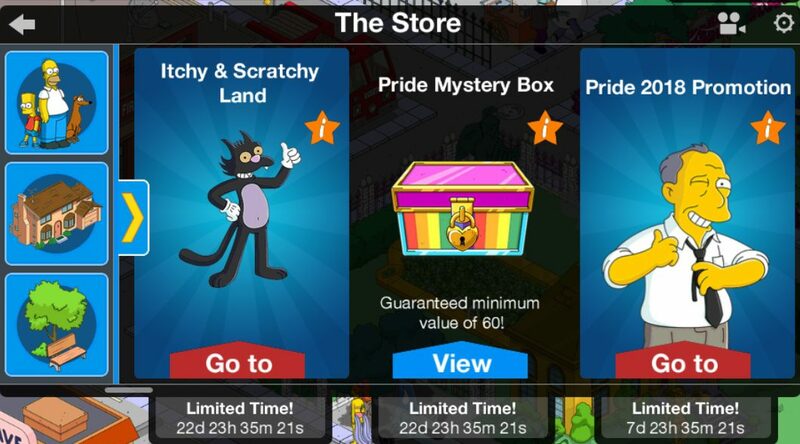 This entry was posted in Pride 2018, Updates and tagged how do I get j edgar hoover, how do I get pride content, Tapped Out Tips and Tricks, The Simpsons Tapped Out, TSTO Addicts, TSTO Itchy and Scratchy land, TSTO Itchy and Scratchy update, TSTO pride 2018, TSTO pride content, TSTO Tips and Tricks. Bookmark the permalink. Has anyone else noticed that the pride crosswalks are not working? I created one, placed it, but nothing happens after that. In my main game when I create and place a pride crosswalk, a little paint can pops up above it. But in my second game, (which I just got one night stan’s from the pride box for), I place the pride crosswalk, and nothing happens. Am I doing something wrong? Or is this some sort of glitch for those who are just now getting one night stan’s? Make sure you are placing the Pride Crosswalk not the regular white Crosswalk that came with KL. That was the first thing I checked, it’s definitely a pride crosswalk I’m placing, and it’s not working. I can’t remember if there was a task line related to the crosswalks or not. There was a short questline that led you thru the colors. Looks like EA forgot to enable the questline. You might contact them to let them know that they need to fix it. A very clever Gil Deal, but I’d only spend sprinkles like that if this was J. Edgar Hoover with Clyde Tolson (2 Characters) – and no that is not a diss regarding Mr Hoover’s alleged lifestyle / sexual preference (just know your J. Edgar Hoover history to understand why I feel this should have been a clever 2 Characters Bundle). I’m very happy that I got Raoul and the League of EH Gentlemen. Will pass on J. Edgar because of the price. Now, time to do a little decorating! 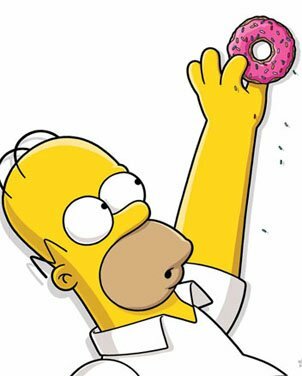 I’m sort of a donut hoarder…..I like to collect them from the never-ending recycling we can do now, but I’m always reluctant to spend them! 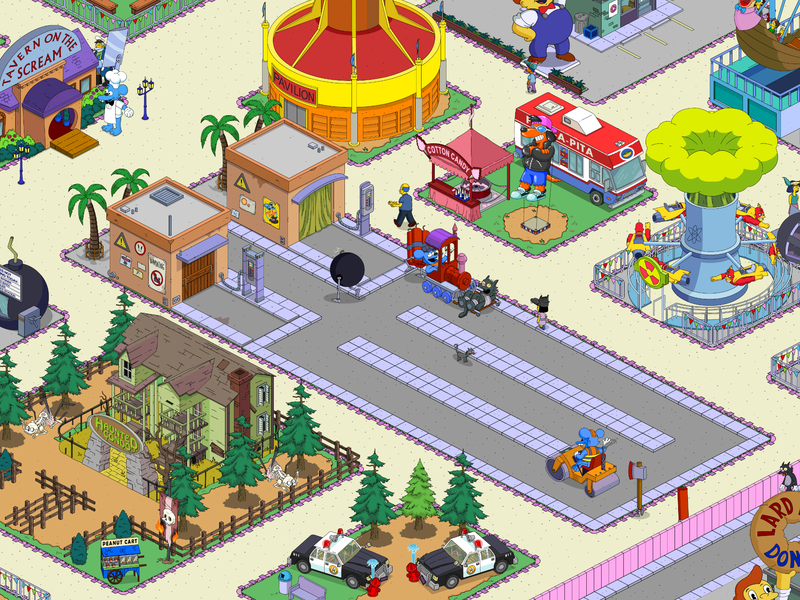 I had over 600 saved up so I went ahead and got Scratchy…..HOW could I have Itchy without Scratchy?! And I haven’t done a mystery box for awhile, the last few haven’t been terribly tempting, but I went ahead and said yes to the Pride box and got Raoul/penthouse, which is fine, but I really wanted either Julio/Hairy Shearers OR the She/She lounge. So of COURSE my husband decides to try the mystery box too and what happens….he got the She/She lounge on the first try! Oh well, it’s still in the store for a long time so I can decide if I want to try again! Only items left for me were Havana Private Home & Two-Nicorn. Spent the donuts – got Havana. Booooo. Though it is a nice building. Should have enough donuts before time runs out to get Two-Nicorn. Don’t have Barts racehorse unfortunately, as that sounds like a fun task they have together. Will skip Hoover. I don’t know much about American Presidents…but I gather this one wore dresses! Pride box – meh, that’s a neutral comment moderators lol, you said nothing about neutral comments… but I cleaned it out so I could pick up twonicorn and I figure more characters equals more kem donuts for what’s to come later this year. Nows me chance to get rollerblading Smithers! I think I’ll pass on Hover till next year though. I never liked the guy. Ronald Reagan for the 4th of July President! Are all these guys Republican’s? Actually I think Washington was from the WIG party which WERE the libral branch of the Republican party until they were swollowed up by the Dems. We do need John. ZAP! I’m guessing we lucked into Stephen Hawking as a character because Stephen didn’t want royalties, and we don’t have John as a character because John Waters does. That simple. No other reason. But he wasn’t playing himself. We already have Michael Jackson’s character. I can see it if they’re playing themselves but still they own the rights to the design of the character, getting access to the voice is another matter. Sorry I feel so useless but I can’t call ea I used the direct link to ea on this page and all I could do was email them which they said has a good chance of not even being seen… sorry if it’s obvious but I need help. Really want to take Gil up on his “deal” but my game keeps crashing. Pride is always my favorite mini event of the year but since I already have everything no mystery box for me. Do the files show anything new coming? FDR? This is J Edgar Hoover. Not a president, director of the FBI. I’m doing a WDTCF post on him. Should clear things up. Hello. I’m going to go over this one more time, maybe someone can help me. Last Tuesday wail I was tapping I was on the second quest of the second act, which was to send 10 people to I&S land to do something can’t remember what exactly, when I went to clear them from the task the thumbs up cleared however the characters are still stuck inside the gate. If I click the icon on the right hand side of the screen it takes me to the gate screen where you send characters to staff rides only to have my game completely freeze. I have done everything I can do including completely deleting and reinstalling the game but nothing works. Does anyone have any ideas? I’ve spent too much time and money on this game for it to end like this. Thanks. Store a building associated with someone stuck in the gate. Such as Moe’s will store Marge and Moe. Put it in inventory. Close the game completely. Reopen and hopefully that will break the cycle. See this thread on the forum for more. Thank you. Thank you. Thank you. I really wished I had thought of that I only had to store one building and that fixed the problem. Once again thank you sooo much. Only five items in my mystery box. Julio and Raoul are those I wanted, She-She Lounge, League and skin for Smithers I did not want. Got Julio on the first try, then She-She lounge and third was Raoul. Happy for what I got for 150 donuts. Leaving last two in the box. Ug I really did want this hoover because of his historical relavence and pride week but 200 dunhts for a stand-alone character and a costume. I was really ready to drop some donuts on this deal. Guess I’m just going to have to gamble in the pride box. I’m hoping to get Julio one of my favorite characters on the Simpsons . He’s pretty pricey but I wanted to have him anyways… The box only has the bicorn in it for me and I’m meh about that one. So since Edgar took a big part out of my donut storage, I’ll keep saving and farming for the presidents that are coming next. I’ve got most of them, but not all, so I’m excited about it. I actually liked the two-nicorn. (Bi-corn sounds too much like the scientific name for it- just sayin’….). I got it a while back. Maybe this will sway you: If you have Furious D, he has a 16 hour task- Follow Twonicorn- that pairs them up and earns some really decent money and XP. Nice to put an otherwise NPC to good use. And you’re right about J Edgar. Too pricey. I can justify that much on a Mediocre Presidents collection in two weeks (“There’s William Henry Harrison- I died in only 30 days!” is now stuck in my head), but not on one character. Two-nicorn also sounds more like unicorn, haha. I’m on the fence about it. I’ll check out the task with Furious D as I have got him. 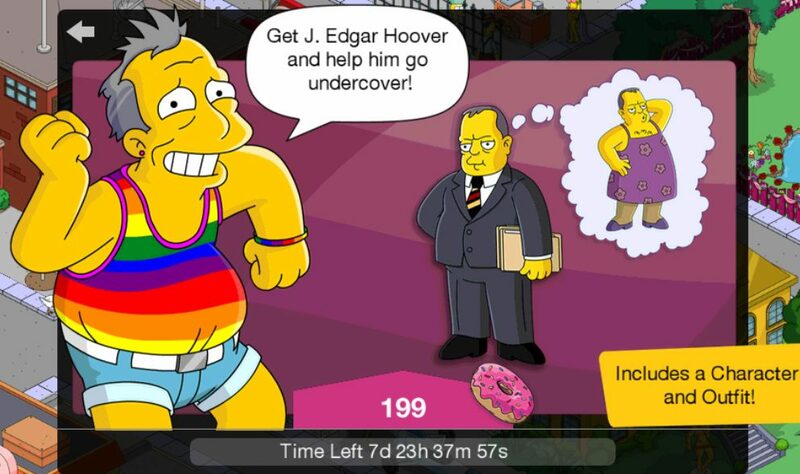 …we even have Homer in YMCA dress as the icon for tapped out! Coincidence or planned for Pride Week? Nice! I only had Raoul’s Penthouse and Raoul, Sconewall Bakery and Rollerskate Smithers, Havana Private Home, and League of Extra Horny Gentlemen in my pride mystery box and Raoul was the only one I wanted and I did it and he’s who I got! Love when those mystery boxes work out. After glitching out for a month waiting for EA to fix the rollback bug on my game (took 3 tries), I’ve been on a donut-spending spree to catch up including the 300-donuts for Scratchy. 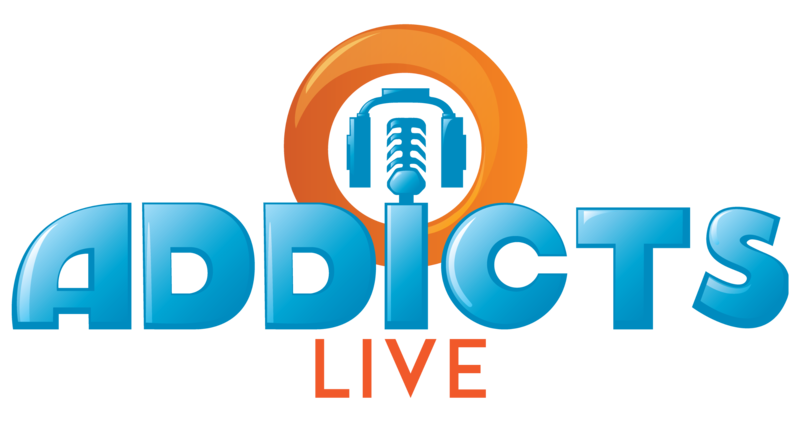 KEM farming – desensitizing addicts since 2017 (for me). Bought J. Edgar immediately. Together with Nixon, it is a cannot miss combo, though it is expensive. I own all the Pride items, so ANY character or combo is welcome. IMO, really dull event! Shame the rainbow butterfly trees didn’t come back or the other decorations… but I’m happy to finally get roller skating smithers which I missed out on last year. I will be passing on Edgar Hoover and his costume since 199 donuts for a character and a costume is too much, maybe if he came with a building or some decorations then he might be worth it. I have 4 items in the Pride Mystery Box: Julio + Hairy Shearers, LOEHG, Rollerskate Smithers + Sconewall Bakery & Raoul + his Penthouse. I think players that bought Raoul at full price 8 weeks ago would be really annoyed at EA because of Raoul now being offered at 2/3 of its original price. I believe that One Night Stan’s also appears in the mystery box because it appears on my low level game while I already have it on my main game. My box has a she she lounge and I already have one. Is it not a unique building? And do we need more than one she she lounge? Argh, I just want Julio. I’d even be willing to pay more than the Mystery Price to guarantee getting him! Congratulations! Awesome news! All the best to you and your family! Thanks for the post Alissa! The two-nicorn does have kind of a shared task with Furious D (the racehorse) where he follows her around town, but only D is getting a payout. I keep Furious D on the task to follow Two-nicorn too, but just because I think it’s funny. Me too!! I have him surveying his vast illicit gambling empire. His home is by the track. Good idea! I’ll have to consider that when I start moving things around. Man I really like the boxes but I’m frustrated by this one. I really want to get the Ajax steel mill but I’m not sure if I want to take my chance and possibly get the private home, League lounge or two-nicorn. Sometimes I just want to the option to buy one item. As a Premium player, I tend to agree with you. By the time a box has been issued I’ve already paid the piper for the Items I actually want. Discount or not, that leaves me with stuff that doesn’t fit well into my design plans. Took a chance with the Mystery Box and got Raoul with his penthouse! Would like to try again for Julio, but may just keep this, since the odds wouldn’t be in my favor. Perhaps I missed this but is there a way to make a parade route with streets? Nothing seems to connect. Is it just a terminal that looks like a street connector? Gimme a hand addicts that won’t let a kinda cruddy event design force you to quit! Yes…place it anywhere on grass and the parade will find the nearest regular road, it doesn’t need to be attached to the road itself. Just a note, tho, if you want it to stay in your park, you need to make a parade route out of regular roads…it doesn’t like the park roads…go figure🤪. Just spent 200 sprinklies on the mystery box. Got Roscoe, got Hairy Shearer, the Havana private home and the league of extra horny . I wanted Roscoe for a long time as good outdoor visual task. I think it’s a good bargain for all I got. Not no more donuts! Back to farming soon! Off to bed now, very late, 11pm. 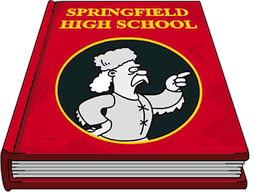 Part of his quest has Springfielders “Get Down at the Anvil” – which pays premium for every character that goes there. If you never complete Roscoe’s quest, this is the default 4 hour task for many characters. In my town, via the Office of Unemployment (= fast!) I can send ~245 of 315 characters to one task, one location and have all of them pay the premium four hour rate of $260. Super great for cleaning your town up every four hours, though there is a lag when you release all of them at once. Good point… Between this and the walking kem, clearing my town is a breeze. Or was, before … the…….LAG… !